The primary aim of the MDS Young Members Group is to support and expand the network of outstanding young neurologists, basic scientists and other allied health care providers who have an interest in the field of Movement Disorders. The focus will be on advancing collaborations amongst young members and focus on educational activities and training. The Young Members Group gathers for a photo in Hong Kong. 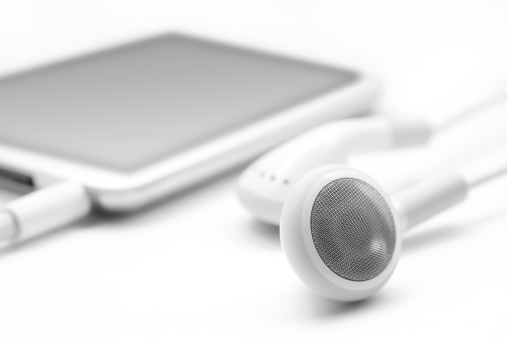 The International Parkinson Disease and Movement Disorder Society has launched a new podcast! The MDS Podcast is going to be a new channel of communication with the members of the Society and other neurologists, health professionals and neuroscientists interested in Parkinson’s disease and other movement disorders, that will ultimately help improve the education in our field and keep the audience updated with novel and clinically-relevant research findings. A monthly issue of the podcast will highlight the results of an article published in the Movement Disorders Journal or the Movement Disorders Clinical Practice, including an interview with one of the authors of the article selected. The MDS Young Members Group (YMG) aims to utilize the YMG webpage and other communication platforms to bring updates, relevant-resources and information, as well as opportunities for young members to get involved with MDS. The group will post project-updates, reports, and calls for volunteers amongst these platforms and welcome you to browse the many sections pertaining to the group below. The MDS Officers have recently approved an Action Plan for the Young Members Group, which will guide their activities in the future. All members of MDS who are under age 40 may join the MDS Young Members Group. Membership will be obtained by written request to the International Secretariat. To join the Young Members Group, log into your MDS Members-Only account and select My Profile. The Young Members option is located on the Professional tab under Special Interest Groups. The MDS Young Members Group will be governed by the Young Members Committee. The MDS Young Members Committee will have a Chair and a Co-Chair each with two year terms. They will be responsible for all projects run by the group and will be appointed by the MDS Education Committee Chairs. Create and maintain a database of MDS Young Members to foster interaction and networking amongst the MDS Young Members from all regional sections and to facilitate their active involvement in MDS activities. Create and maintain an informational page within the MDS website to centralize data about educational courses, fellowships, MDS visiting trainee grants, MDS outreach education, exchange programs, bursaries, research and travel grants, congresses, and employment opportunities for young MDS members, with an emphasis in movement disorders. Promote an annual face-to-face meeting at the MDS International Congress on Parkinson's Disease and Movement Disorders to discuss ongoing and future roles and projects for the group, with oversight by the MDS Education Committee Chairs. Participate actively in MDS educational activities such as the Web-based Learning Modules (previously named Coffee Break CME). A member of the MDS Young Members Committee will serve as a co-director of the program and other members will be invited to publish texts and videos in its numerous modules encompassing different movement disorders. Contact education@movementdisorders.org if you are interested in partipating in this activity. Create regular surveys of past MDS-Schools for Young Neurologists in order to analyze the impact that the School has had on their careers. An initial survey was conducted in 2014 and a follow-up survey was completed in 2017. Participate in the MDS Outreach Education Programs (DWEP courses, Visiting Professor Program and Ambassador Program). Members would collaborate in program initiatives, and could participate as tutors, assisting physicians and healthcare professionals in countries where movement disorders specialists are lacking. Promote the translation of educational materials in movement misorders to different languages. What are the fellowship opportunities on movement disorders around the PAS Section ? If you're interested in taking a fellowship on movement disorders, review this brief presentation (PDF) given by Prof. Thiago Vale during the 2018 PAS Section MDS Congress in Miami, FL. Prof. Vale is currently the Chair of the Young Members Group and prepared a summary of educational opportunities on offer through the MDS as well as through fellowship programs around the region. The Young Members Group has developed two card activities that challenge your knowledge of movement disorders. Gather a group of colleagues or friends and test your knowledge! These activites were designed by Sara Schaefer and Ana Vives Rodriguez. Please provide any feedback that you have on the activities here. Individuals interested in pursuing a career in Movement Disorders are encouraged to review the presentation given during the 2017 MDS Congress in Vancouver, BC, Canada by Prof. Claudia Trenkwalder, MDS President-Elect and Professor of Neurology at Paracelsus Elena Klinik (Kassel Area, Germany). Authors: Thiago Cardoso Vale, MD, Msc; Santiago Perez-Lloret, MD, PhD; Margherita Fabbri, MD; Tiago Teodoro, MD, PhD; Tomás de la Riesta, MD; Sergio A. Rodriguez-Quiroga, MD; Miryam Carecchio, MD; Joaquim J Ferreira, MD, PhD; Wassilos Meissner, MD, PhD; Charles H. Adler, MD, PhD. Background: The International Parkinson and Movement Disorder Society (MDS) Schools for Young Neurologists have been held since 2008 for young clinicians with a special interest in the field of movement disorders (MD). Objective: To evaluate the participants’ perception of the impact of these courses on their careers. Methods: A web-based survey was performed. All participants from previous MDS Schools for Young Neurologists (2008-2014) were invited to participate in a webbased questionnaire. Results: A total of 283 out of 650 (43.5%) participants completed the survey. Almost 80% considered that the course had a direct impact on their involvement in the MD field. Of the 75 participants who had completed residency at the time of the survey, the number of those who are working as MD specialists increased from 34 (43.3%) at the time of the school to 72 (96%) at the moment of the survey. Accordingly, the proportion with at least 25% of their weekly time spent practicing MD increased from 48.7% to 70% and MD was the main area of interest for 77.2%. Involvement in academic and teaching activities in MD increased from 48.6% up to 92.7%. Finally, 39.6% of participants were members of the MDS at the time of the course and that number increased to 87.4% at the time of the survey. Conclusions: Clinicians with a special interest in MD reported a significant impact of attending a MDS School for Young Neurologists. Following completion of the schools, they have continued to be involved in the field by joining MDS, becoming MD specialists and engaging in specialized academic and teaching activities. The International Parkinson and Movement Disorder Society (MDS) is a professional society of clinicians, scientists, and other healthcare professionals interested in the field of Movement Disorders. The “Regular" Membership applies to clinicians, other health professionals, researchers and policymakers in the field of Movement Disorders. Residents, fellows, and professionals training in healthcare or scientific research may also apply to a “Junior Membership” at reduced fees. Individuals who reside in countries classified as "low-income," "lower-middle-income" or "upper-middle-income" economies by the World Bank are eligible for a “Waived Dues Membership” at no cost.